In front of a grassy hill, a wooden infobox sticks out. "Earthship" is written in bold letters. Following a path around the hill, it becomes clear that the hill is more than soil and grass. It looks like the ground has formed a giant bubble – a bubble with windows and doors, like a hobbit house with a sun-room. 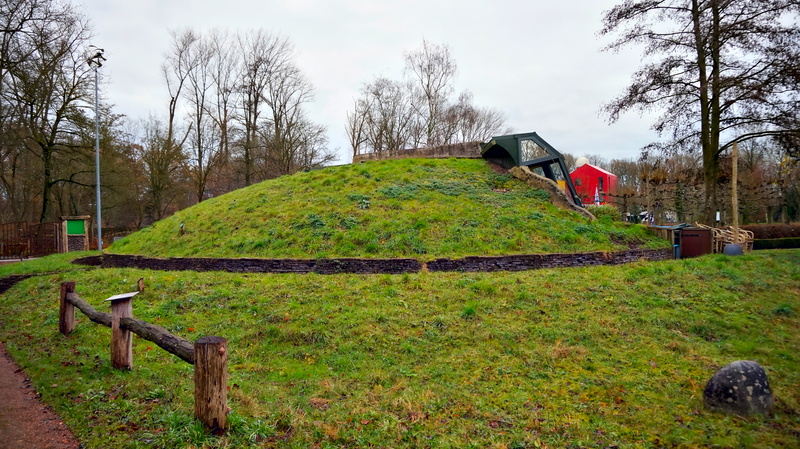 The Earthship is located on the site of Doepark Nooterhof in Zwolle, a town in the Netherlands and is used as a public teahouse. It is early in the morning, customers has not yet arrived and the smell of Falafel is in the air. The visual appearance of the Earthship is similar to its unconventional bubble structure. Specially round and curved proprieties are predominant in its architecture. 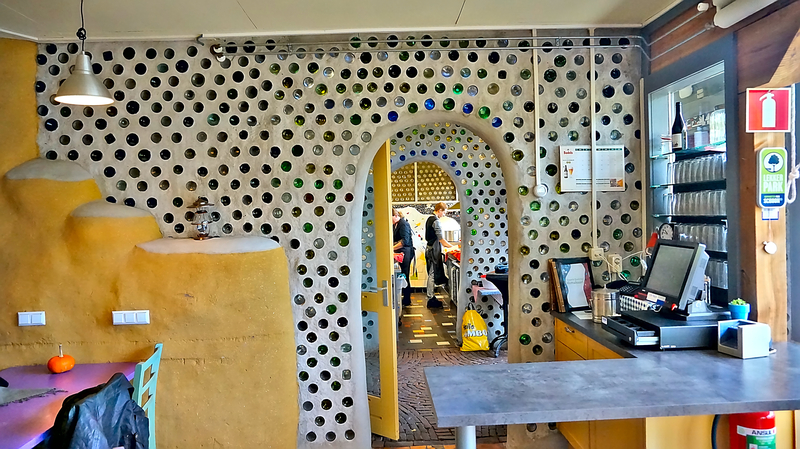 Characteristically, the Earthship's interior architecture includes 700 glass bottles that serve as a substitute for clinker bricks within the walls. When sunlight shines upon the coloured glasses, a play of colours dances across the wall, like a church window. 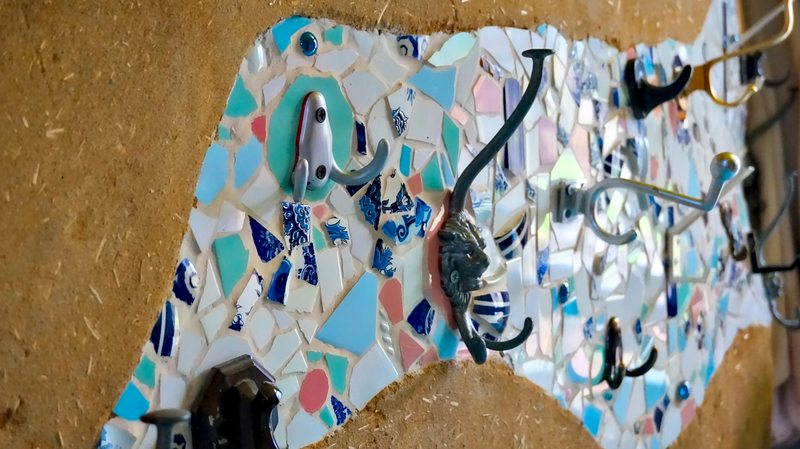 Much of the glass forms mosaics that crest the walls artfully. 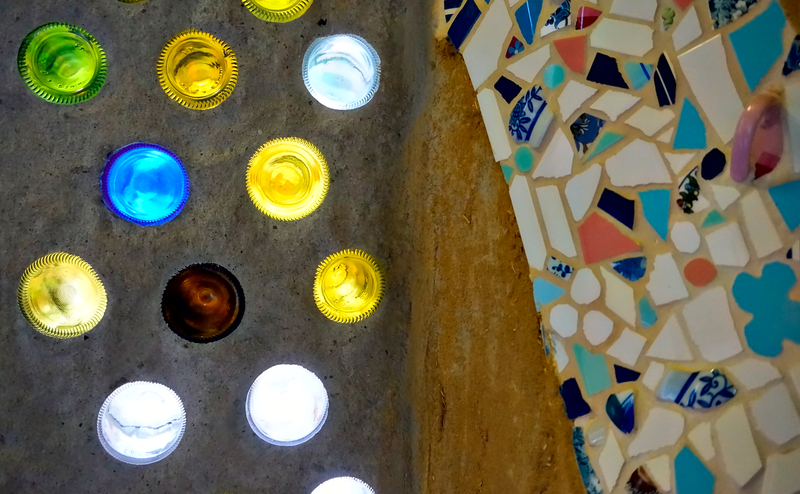 The builders were inspired by architects like Antoni Gaudi and Friedensreich Hundertwasser. Scrap tires are the heart of an Earthship. They are both a wall and a heater in one. The rear walls is, like a clinker-containing wall, structured of layered and offset tyres. Layer by layer, the tyres are filled with compressed soil. Another important component of this heating concept are the wide front windows. The structure of an Earthship is aligned such that its windows face south, collecting the maximum daylight and infusing the tyres with thermal energy. If the outside temperature is sinking, the collected thermal energy flows into the room. This principle of thermal energy transfer is called convection. 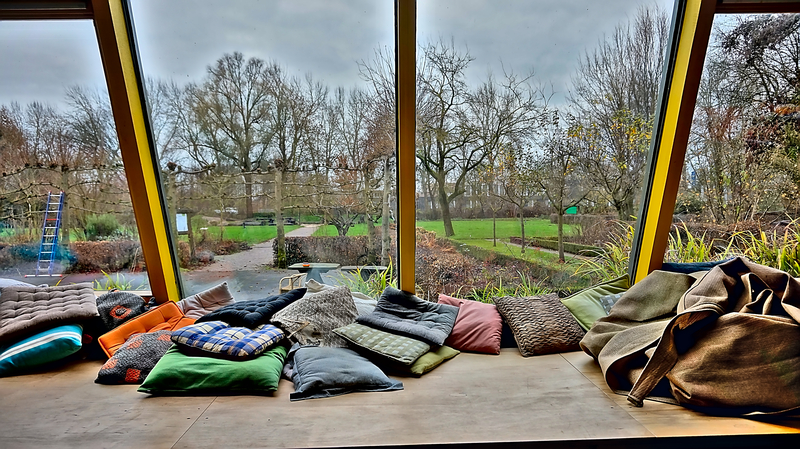 Noticeable for Zwolle's Earthhouse is the indoor climate, bearing in mind that the teahouse in not actively heated. Outdoors a cold wind is breezing around bare trees, the heaven is drab and covered. In contrast, the indoors is a balanced warmth, with a temperature that harmonizes the radiating thermal and cold autumn weather. Altogether 1000 tyres were used in the building's construction. 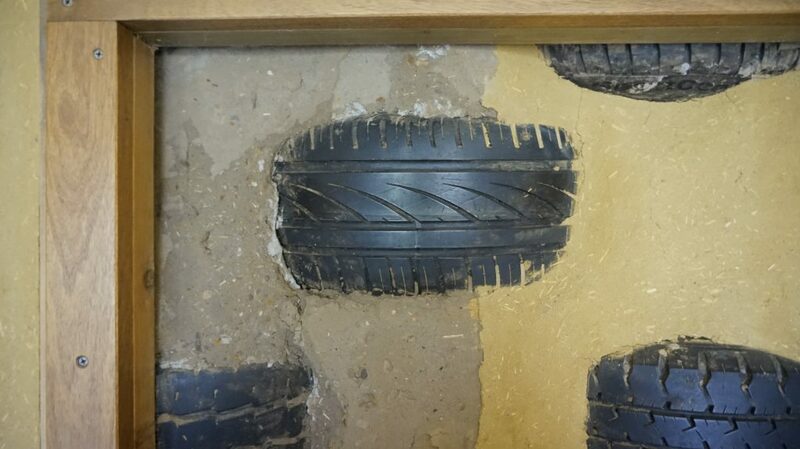 In the finished Earthship, the tyres lay unseen, with clay plastered over them. The wide windows give a panorama view. 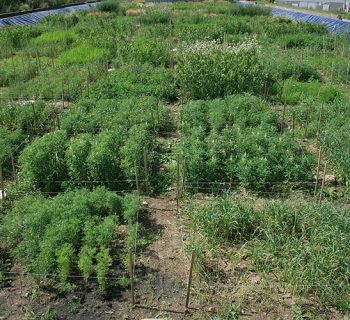 How selfsufficient is an Earthship with regards to its power supply and technology? For example, are the solar cells on the roof enough, or is an additional mounted wind turbine needed? How much wattage is needed? 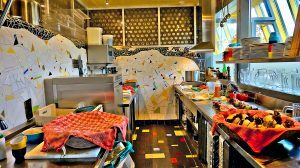 The Earthship in Zwolle is an teahouse, and for them a professional kitchen with an appropriate amount of wattage is required. In this particular case it is necessary to be able to draw on a electricity grid. This Earthship has two water tanks with a capacity of 2000 liters each. Therein filtered rainwater will be collected and used to flush the toilettes. 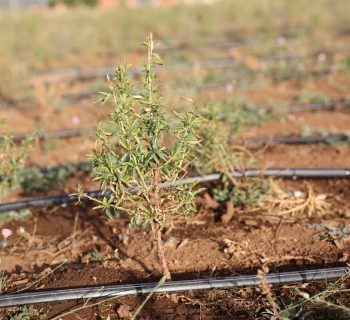 But its not for drinking, since European drinking water ordinance considers, rainwater impotable. 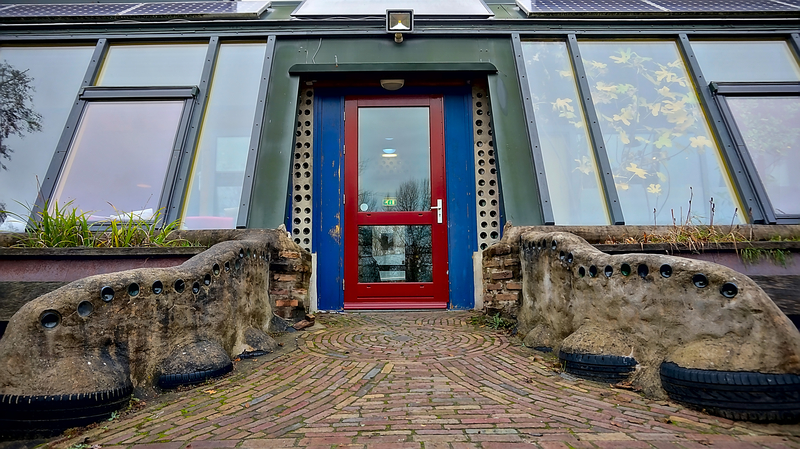 The Earthship was started in 2008 as a gift to the Zwolle community by a buiding society. 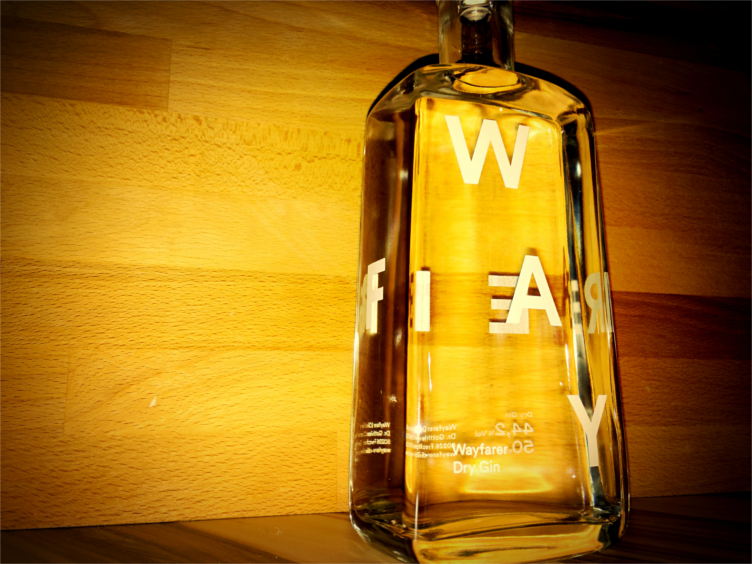 For the occasion of the SWZ society's centenary, it wanted to provide it as an example for a sustainable building. 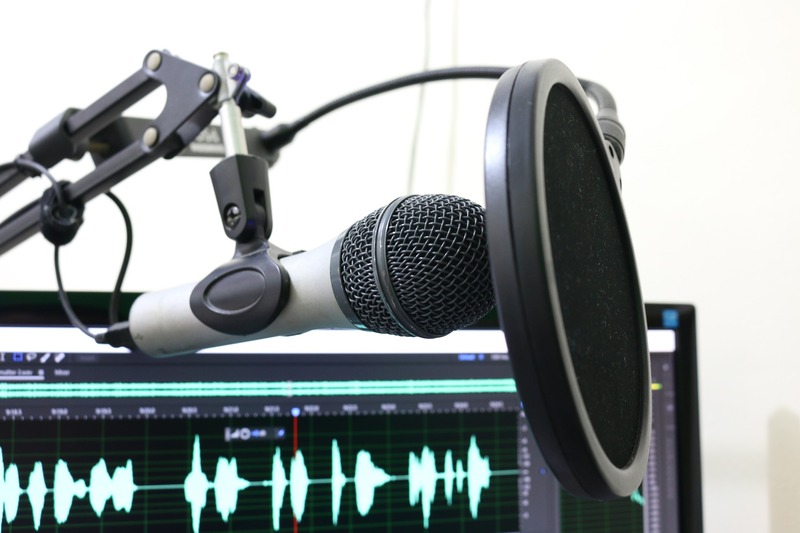 The goal is not for promoting it as a new solution to an existing problem, but to provide a beacon of light that point in the right direction. In looking for a suitable ground, the society's cooperation with Doepark Nooterhof started. After a ten month constructing phase, it was finished on June 2009 and marks the first Earthship in the Benelux countries. 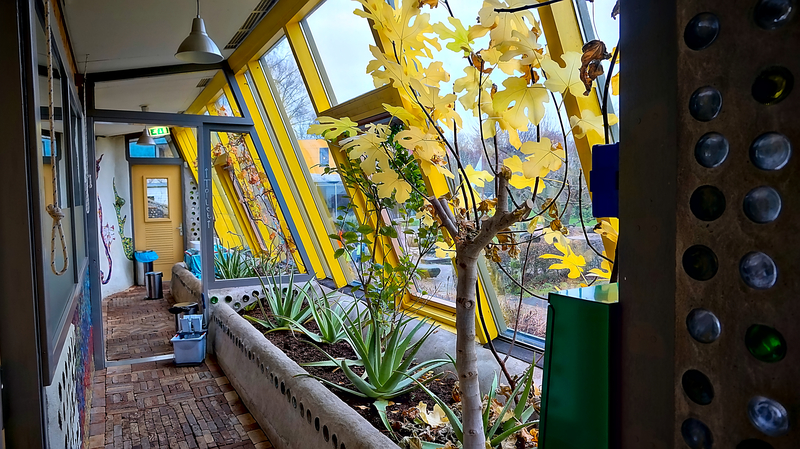 There are lots of Earthship-projects that look like that the one in Zwolle – idea for a joint project and supported thruogh a solidarity of interests. The problem is that glass bottles and tyres are not licensed construction materials, an absolutely necessity for legal construction. Certainly there are exceptions that, can be approved via an explanatory statement. 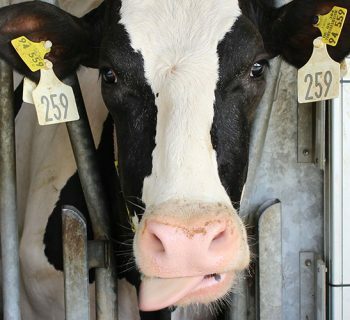 For example, through a scientific aspiration or a special public interests. 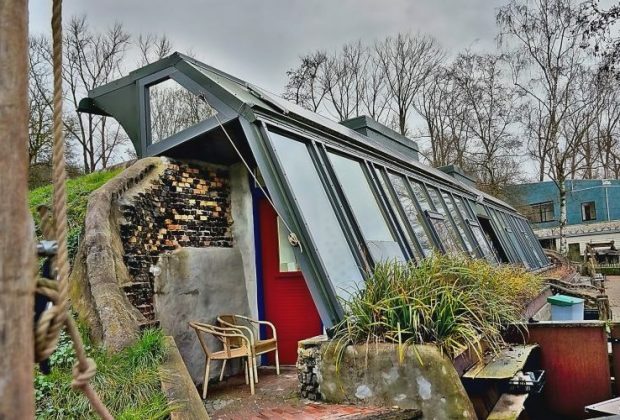 "If such exceptions wouldn't be allowed, innovation wouldn't rise and that's closely the reason why Earthships have character of experiment, and as a concept for classic town houses unsuitable," says architect Ralf Müller. Earthship projects will be implemented by international aid workers with special know-how and enthusiasm for such projects. Officially educated and qualified experts, as well as specialist companies who are specialised in Earthships, are non-existent. And for compressing the 1000 tyres by hand and with a sledgehammer, one must rely upon the help of friends. As an architect, Ralf Müller has accompanied the construction of Germany's first Earthship in Tempelhof. For him especially, the social compatibility as a characteristic of sustainability gets realized. "I have never experienced a construction site where so many enthusiastic people were working," says the Earthship expert. 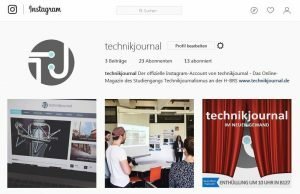 In comparison to similar concepts – for example, passive houses – it is this special enthusiasm that makes the difference. To build a sustainable house by using recycled materials in all manners of its construction, that would be the point where Earthships go one step further in the direction of sustainability, says Ralf Müller.